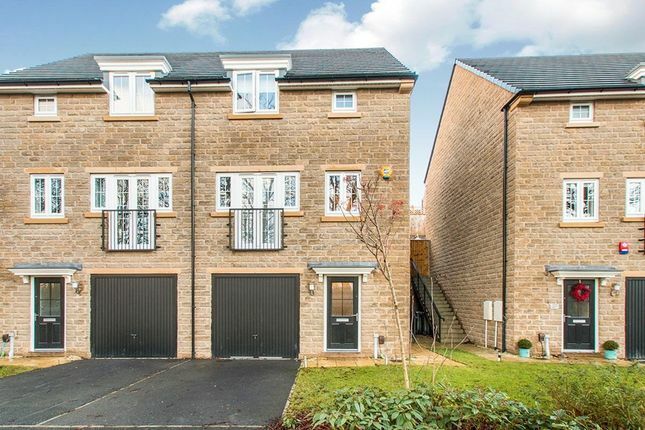 This stunning semi detached townhouse is offered for sale with no onward chain in the highly sough after Bluebell Development. Situated at the head of the tree lined cul-de-sac, this home really has to be viewed to be fully appreciated. Appliances throughout which are included in the sale, this home is ready to move into. Briefly compromising entrance hall, utility room, modenr kitchen diner with patio doors onto the rear garden. The lounge also boasts a juliette balcony so you can fully appreciate the idyllic. 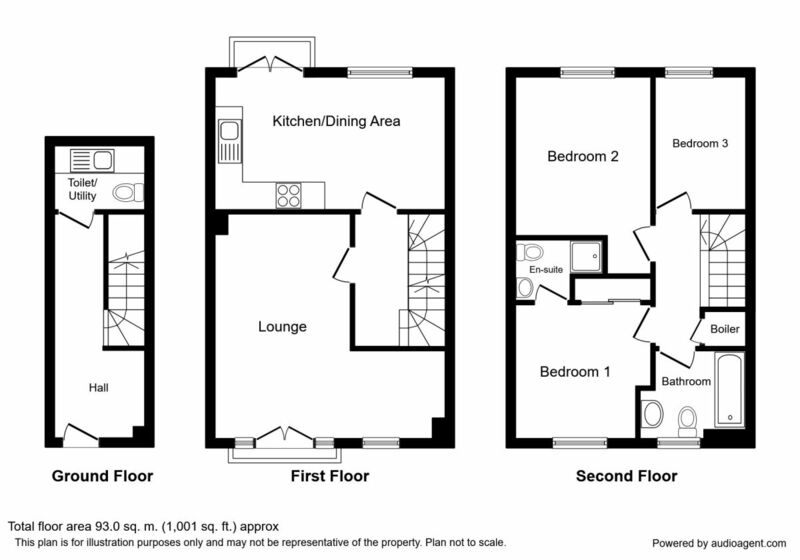 The top floor had three good sized bedrooms with master en suite and family bathroom. Make sure you book your viewing. EPC Rating Grade B. This sought after area of the village of Wyke is perfect for commuters and families alike. Having easy access to Leeds, Bradford, Halifax and Huddersfield, this is perfect for those wanting access to the busy areas but maintaining the countryside feel. Simply stunning! 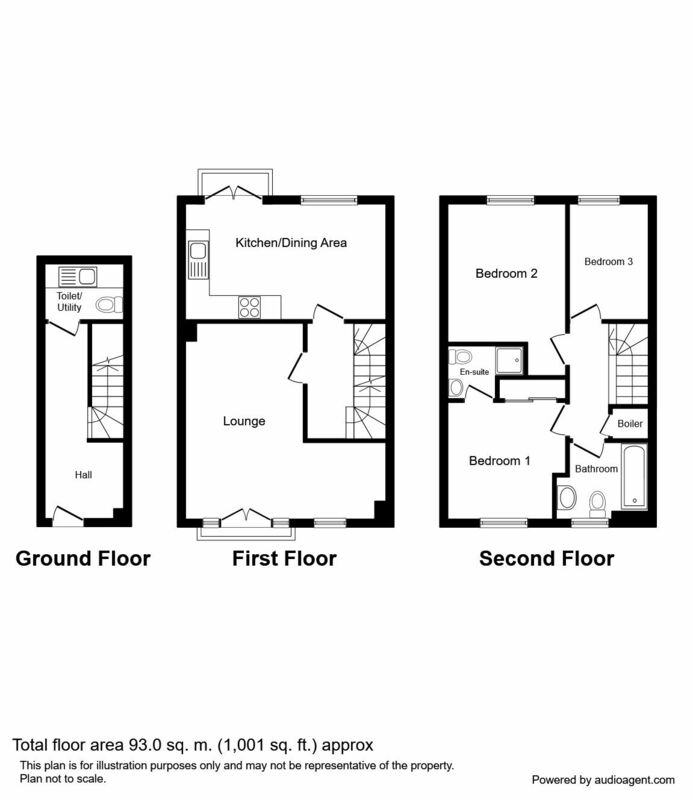 We were blown away with the specification of this home which is still under 2 years old. The proportions make it perfect for couples and families alike, and being situated at the head of a quiet cul-de-sac adds further to the appeal. Property descriptions and related information displayed on this page, with the exclusion of Running Costs data, are marketing materials provided by Reeds Rains, and do not constitute property particulars. Please contact Reeds Rains for full details and further information. The Running Costs data displayed on this page are provided by PrimeLocation to give an indication of potential running costs based on various data sources. PrimeLocation does not warrant or accept any responsibility for the accuracy or completeness of the property descriptions, related information or Running Costs data provided here.